Useful information. Holiday house Irene in Giardini Naxos. 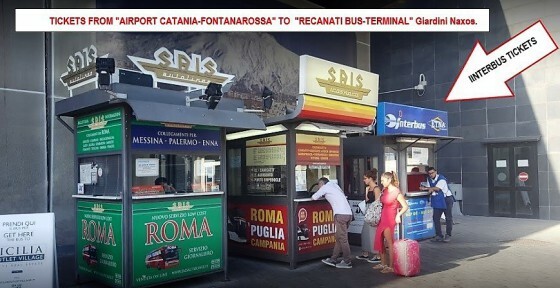 By bus: "INTERBUS" - From the airport a bus is available to Taormina, which also stops at Giardini-Naxos. The bus stop "Recanati" (Giardini Naxos) is the main destination stop. Tickets can be purchased at the desks at the exit of the airport. Buses leave every hour. The bus stop is about a hundred meters to the right as soon as you leave the airport. The journey time is about an hour. LINK TO "INTERBUS SITE" (SCHEDULES AND RATES). TO BUY => TICKETS FROM: "AEROPORTO CATANIA" TO "RECANATI (hamlet. 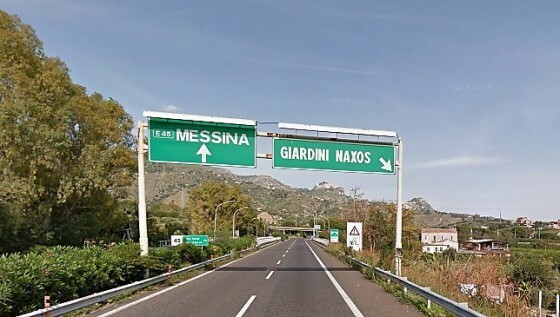 Giardini Naxos)"
On the motorway: (A18 - 'Messina - Catania' / exit "GIARDINI NAXOS"). It is possible to rent a car at the parking lot in front of the airport. All the major rental companies are present (>> Avis >>Hertz >> Maggiore >> Auto Europa). From the airport you can reach Giardini Naxos in about an hour, along the A18 motorway towards Messina exiting at the "Giardini-Naxos" tollbooth. (NAXOS STREET) TURN RIGHT TO VIA LAGHINI. MEETING POINT: ENTRANCE OF THE RESIDENCE. Nearest Airport: "Catania Fontanarossa" - 60 Kilometers. 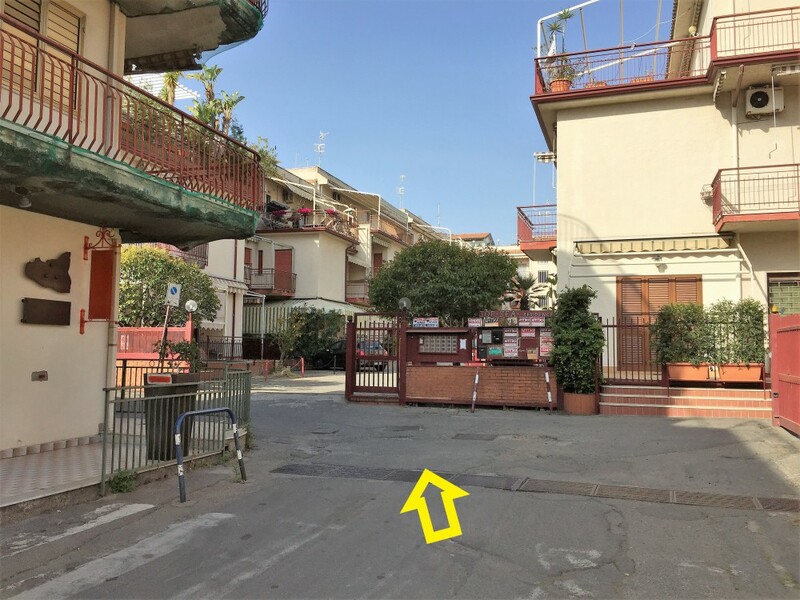 Nearest train station: Taormina/Giardini Naxos - 2 Kilometers. 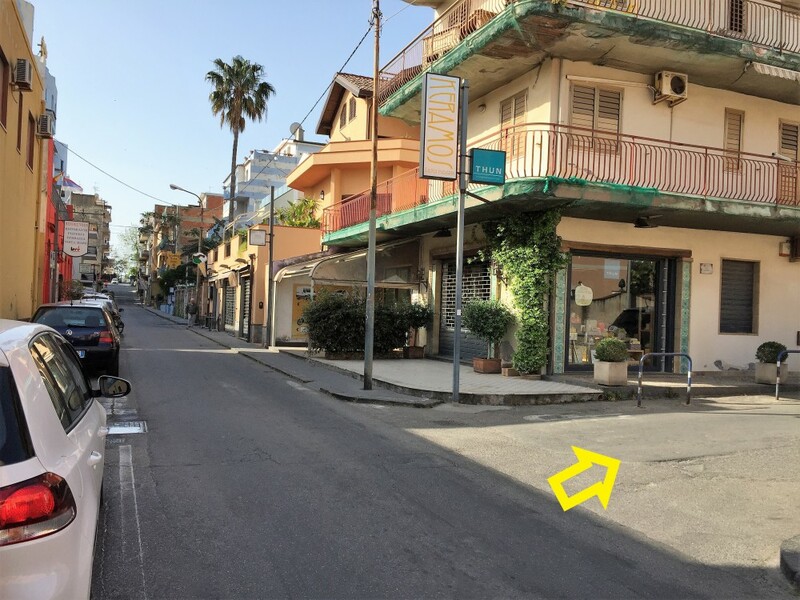 Nearest Motorway: "A18" exit Giardini Naxos - 1 Kilometers. Nearest Ferry: 57 Km (Messina). Taormina: 7 Kilometers. - 15 minutes by car. Archeological Museum - Giardini Naxos. Schisò Castle - Giardini Naxos (at 100 meters from our house). Botanical and Geological Park "GORGE ALCANTARA" - Motta Camastra. Valley of the Temples - Agrigento. >> Calatabiano Castle: 4,5 Km. >> Etna Mount: 56 Km. >> Gole dell' Alcantara: 14 Km. 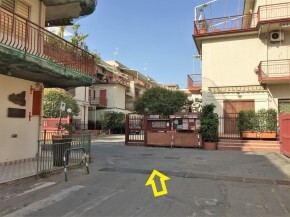 >> Piazza Armerina: 141 Km. Located in a residence at 50 mt. from the sea.